This past month has been unusually busy. Honestly, I thought that summertime would give me more of an opportunity to relax because I didn't have to get up as early as I did during the school year. The total opposite happened. I actually feel like I'm always spinning faster and faster on a daily basis. I haven't really picked up any additional responsibilities, but for some reason, I've been feeling unusually tired. I'm used to burning the midnight oil. I work late most nights of the week, but this week was different. My energy level really crashed on Monday when I decided to take my braids out. I thought that I would be able to get it done overnight. I've done it before and I wasn't tired. I'm always multi-tasking, so nothing was unusual about what I had planned to do. I began to take the braids out. I had alot of energy because I knew that I had a deadline. I had an appointment at 8am, so I needed to keep going. Around 4 a.m. my body crashed. I felt like I had been hit by a ton of bricks. Needless to say, J missed my appointment. There are times when your body will give you signals that you are doing too much. A person that never gets sick might notice that they start developing cold symptoms. Someone else might just experience extreme fatigue. Sometimes time just runs out. There are only 24 hours in a day and sometimes you just can't fit everything into your schedule. I realized that I just needed to slow down and rearrange some things. There was no real reason to rush. The things that I had to do did not have a deadline. I created the deadline and I had the option to change it. Sometimes life has a way of slowing you down and making you reevaluate those things that you need to eliminate. Sometimes we need a time out to prioritize the things that are really important and the things that have little or no purpose. Sometimes we try to stay busy to avoid confronting specific issues that will not go away. Guess what? The things that we try to avoid will be there waiting for us when we finish ducking and dodging a possible solution. Actually, the more you avoid the problems in your life, the more you increase the chances of creating a bigger problem later. When we don't get the proper amount of sleep/rest the possibility of health issues such as hypertension increases. Sleep is important to maintain a healthy metabolism. 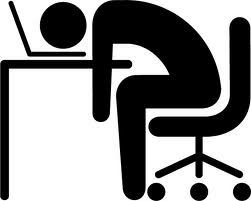 Sleep deprivation decreases our ability to concentrate and increases irritability. As adults, we should be getting 7-8 hours of sleep a night. Unfortunately, many of us are getting much less and supplementing with coffee, energy drinks, and other sources of caffeine. If we don't take are of ourselves, how can we take care of our families and everything else that we are supposed to do? We need to take care of ourselves because many people are depending on us to be the best that we can be and we can't if we're exhausted! 1 Corinthians, chap. 6:19-20-"Do you not know that your body is a temple of the Holy Spirit, who is in you, whom you have received from God? You are not your own, you were bought at a price. Therefore, honor God with your body."